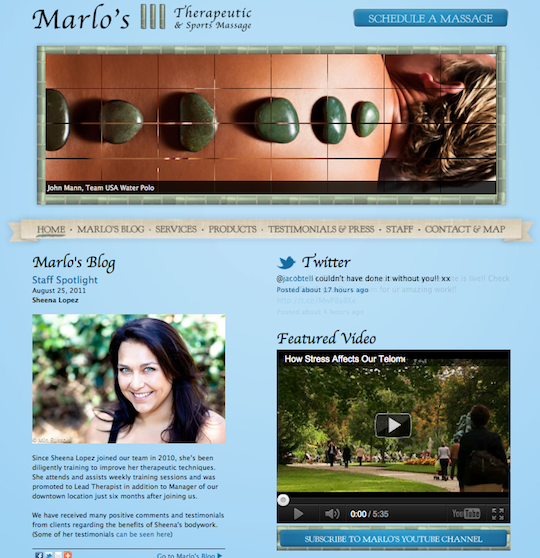 We just launched a new site for Marlo’s Massage, Santa Barbara’s voted Best Licensed Massage Therapist for the last three years in a row! It’s a beautiful redesign with highlights that include a brand new Staff page as well as a “Schedule a Massage” call to action button. If you haven’t yet experienced a Marlo massage go ahead and hit the “Schedule a Massage” button to see what you’re missing out on!